Google is hosting its Big Tent Activate Summit 2013 in New Delhi next week (March 21, 2013), and the list of speakers for the event include the likes of Eric Schmidt, executive chairman, Google and Narendra Modi, the chief minister of Gujarat. Other prominent speakers include Sam Pitroda, advisor to Prime Minister Manmohan Singh on public information infrastructure and innovation, Union Minister Shashi Tharoor and Rajan Anandan, managing director, Google India (you can find the complete list of speakers here). 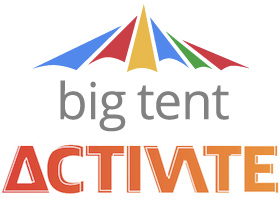 The search giant has been organising 'Big Tent' events around the world, bringing together speakers with diverse points of view to debate some of the hot issues relating to the internet and the society at large. The company has already held events in Baku (Azerbaijan), Moscow (Russia), Seoul (South Korea) and Sendai (Japan) and it is now coming to India. For the India event, Google has partnered with The Guardian's 'Activate summits', and MediaGuru, a consultancy and technology solutions provider for media companies. As to what this particular event will focus on, a message on the official Google Events page reads, "The Internet has already changed India. But we're only at the beginning of a significant transformation as we move from just over 150 million to more than a billion Indians online in the near future. At this Big Tent Activate Summit, we're bringing together leading Indian and international experts to discuss the changes we're already seeing and to forecast those to come." Can India gain a global competitive edge by enabling the full economic potential of the internet? Will the internet dilute Indian culture, or can it help preserve and share it locally and globally? And how is the internet already changing the democratic process, and what will happen as many more constituents come online? If you are not already attending the event, keep track of this space as we will bring to you more dope on the event as and when it happens.